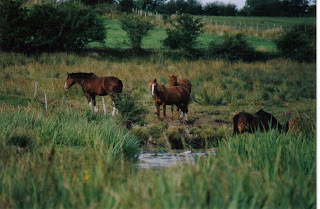 A Picture of horse's on the Dunkellin River that flows through Killimordaly, A Gatehouse to Woodlawn wood near the village of New Inn. This is the view from the hill north of the Naul and west of Stamullen village, on a clear day it is possible to see 100's of km to the North to the Antrim mountains This is the view west, the mountains are hill of Kells Oldcastle and Cavan, The pictures to the south and east were not great because of rain. I am not sure if this is an Obelisk or a lookout tower like the tower of Loyd in Kells, used to look across the plains of meath. Newgrange monument is older than the pyramids at Giza and older than the standing stones of Stonehenge, it was built around 3000 BC or a few hundred years older. It is a passage grave that is built in such a way that when the sun rises on the winter Solstice it pass through a long passageway and illuminates the floor in the central chamber. It is thought to be a grave and remained hidden for 4000 years until it was found in the 1700's(it was only found when people thought that they could quarry stone from the hill). This is like our Valley of the kings, there are a lot of burial mounds spread out over the valley "Bru na Boinne", new grange is the most impressive. This is a shot of Newgrange from the road as you come to the visitor centre, if you look at the foreground of the picture you can see the mound of a smaller grave, you can see evidence of more from the newgrange site This is a shot taken on the site. the stone is not painted white it was quarried miles away. the entrance can be seen here. the entrance to the passage, the steps are to protect the carved stone at the entrance. A closer shot of the entrance stone, the spiral design is thought to be a form of writing though no one is sure. In the background you can see the window above the door is where the sun comes in on the winter solstice. one of the many large rocks that form the base of the monument, if you open the picture you can see a design on this rock too. Many of the rocks had designs carved into them. Pictures are not allowed on the inside of the passage, there are hollowed out rocks where they have found remains of at least five people and the ash of cremations. There is also a lot of graffiti carved onto the stones by the people who visited the tomb in the 17 & 1800's. 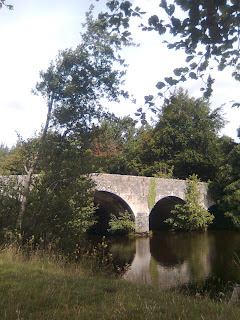 There was a new bridge built over the M1 motorway bypassing Drogheda, it is quite cool, but down the road on the way to Slane there is this old Metal bridge that I have not seen to many examples of as road bridge. A another view of the new bridge along the oldbridge road. Due to the urgings of a pesky Norwegian I have update this so thanks to Leisha for the update This is the ruin of Leamaneh castle on the Kilfenora to Corofin road in Clare. It was built 1480 and was allegedly the home of the Turlogh Donn one of the last High Kings of Ireland a direct descendant of Brian Boru, it was surrendered to the English in 1548. It was owned by Conor o Brian and his wifey Red Mary (infamous trollop). Eventually went to ruin. This is a Turlough in Carran in Clare, usually in the summer this would be dry, but because of the rain we have had here for the summer there is water. A Turlough is a temporary lake or pond, in this area there is no drainage as there is just a sheet of rock underneath. As you drive along parts of this area you can see the water pipes, they could not bury them due to the rock. Here is a view of a hill on the Burren where it meets good land. I liked the contrast. Here are a few Pics of Kilconnell Friary, it was a franciscian monastery in the 15th centuary being established in 1414 all of this building was completed by 1500 with the exception of two small chapels. 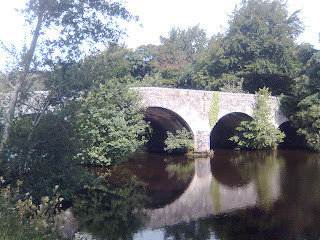 I am having problems loading pictures, I will post other photo's of the Burren and the castles when I get it figured. 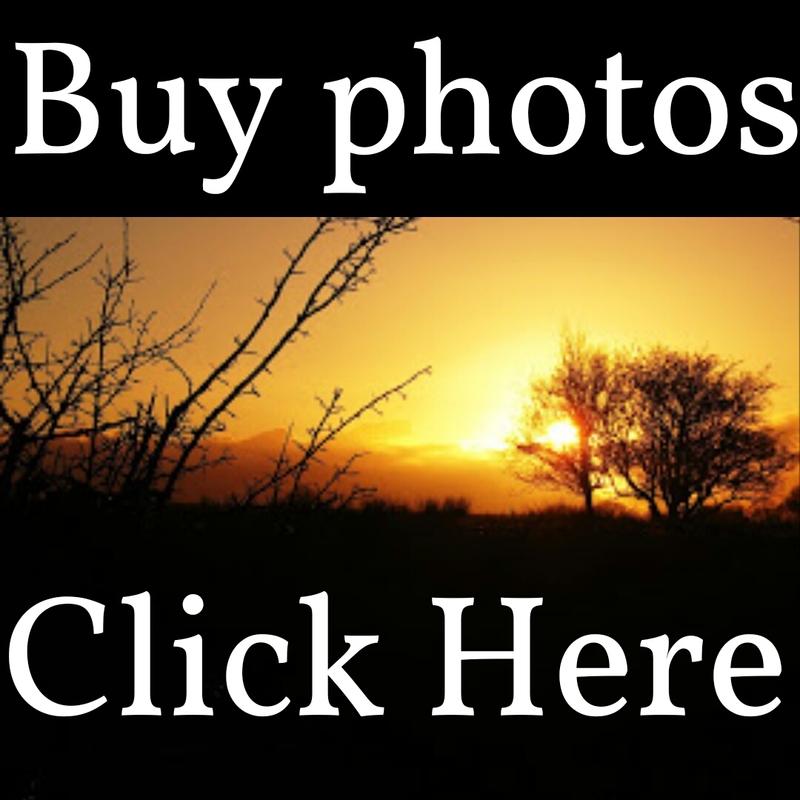 This series of pics were taken in the lough Gowna region of Cavan there are a lot of small lakes and narrow roads around this area.